I bought a new lens for my camera today at Horn Photo. It’s a 50mm 1.8. I’ve discovered I love pictures with a lot of blur and a small focus. This lens has a 1.8 aperture which will allow for a LOT of blur! It will also do GREAT Bokeh photos. Bokeh is a japanese term for blur. I was playing around with my camera and new lens today and I was trying to recreate this photo. 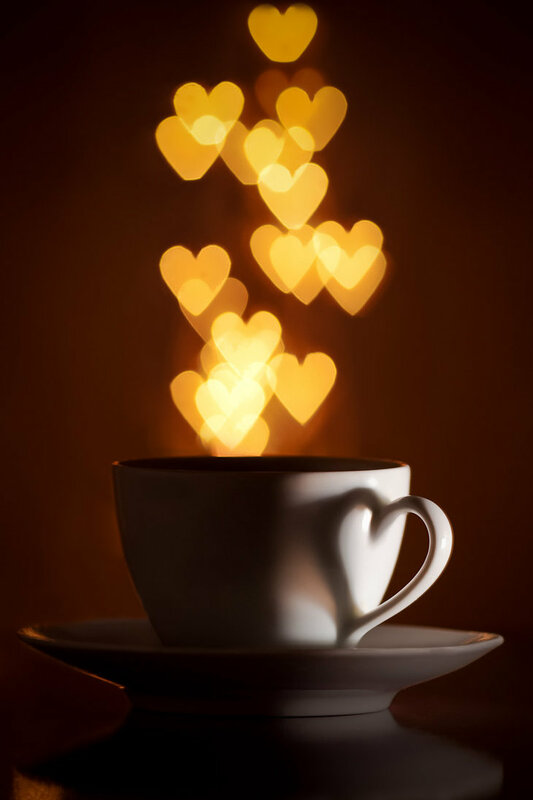 I love how the light shadow makes a heart on the cup too. The link to this photo is here. http://junkarlo.deviantart.com/art/A-cup-of-Love-2-148638307 This is done making a kind of cuff for the lens where you have a cutout in the very center of the cuff with the shape you want the lights to take on. Here is a link to the cuff that this photographer used. http://junkarlo.deviantart.com/art/Making-of-hearted-boke-148916714 And here is a pic of his cuff. 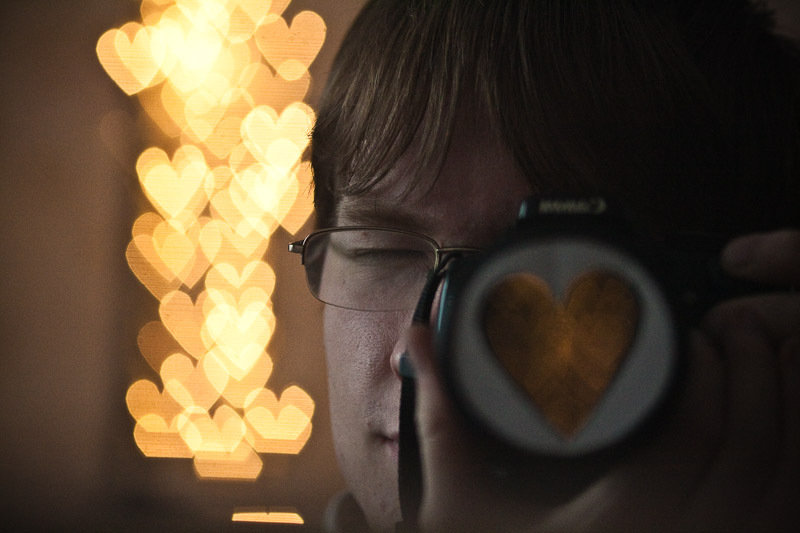 I made my heart only 3/4 inch in size….so I got a little bit of a different look. I think I will try to make the heart bigger on the next cuff I make and see how it changes my pictures. 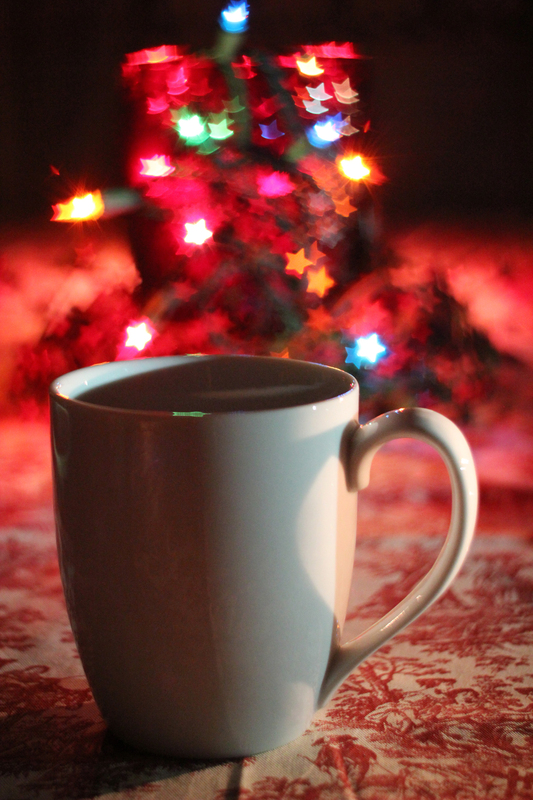 Anyway….I used a set of colored Christmas lights…propped up behind my coffee cup. I needed to have a black table-cloth underneath….the patterned one is a bit distracting to me. 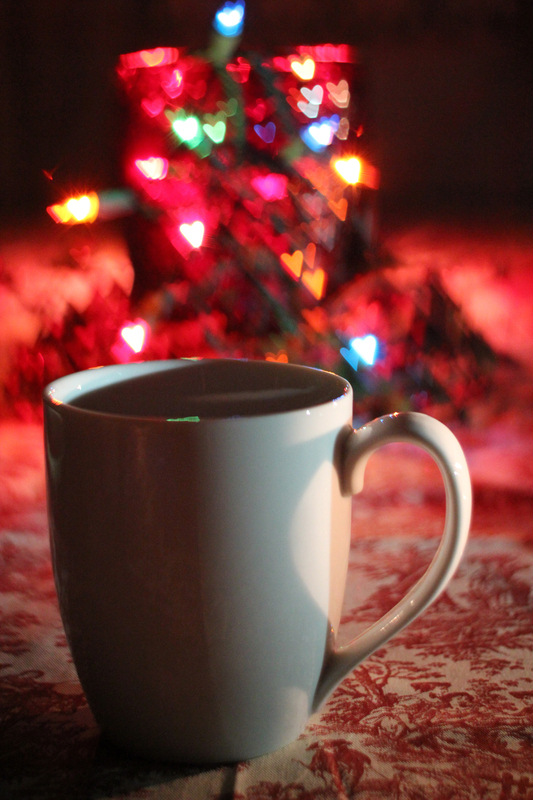 Here is my first attempt at this Bokeh thing! I also made a cuff with a star opening in it. So here is what that looks like. This entry was posted on Monday, April 25th, 2011 at 9:39 pm and is filed under Uncategorized. You can follow any responses to this entry through the RSS 2.0 feed. You can leave a response, or trackback from your own site. Hi Kristy! If you have a Cricut Electronic die cutting machine…or other punches…you can make all kinds of shapes. I’ve only tried a few shapes…but I saw a GORGEOUS butterfly shape the other day in a photo. I’ve made a star, heart, butterfly(but haven’t tried it yet) and an octagon.